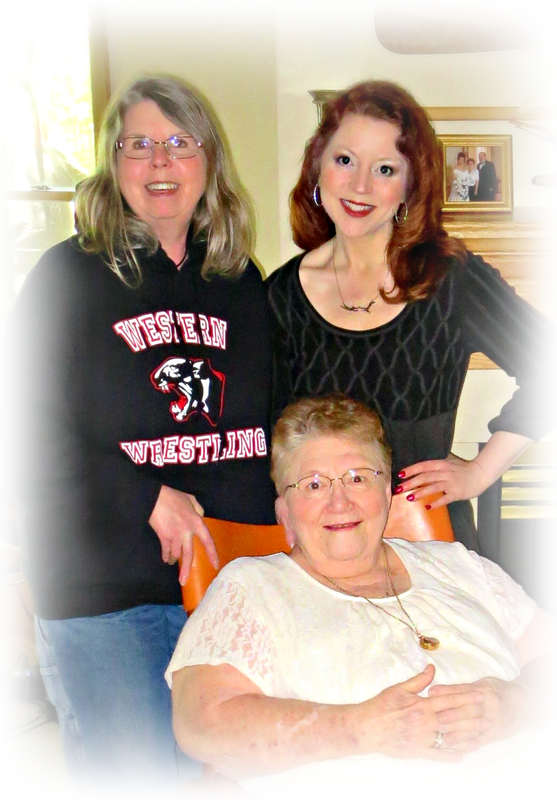 This picture with Grandma Betty and my Mom was taken on Mother's Day, 2013. I was honored to have Grandma and Grandpa Betty to the lake for an afternoon and to cook a special meal for them, as usually she was the one doing for everyone else. 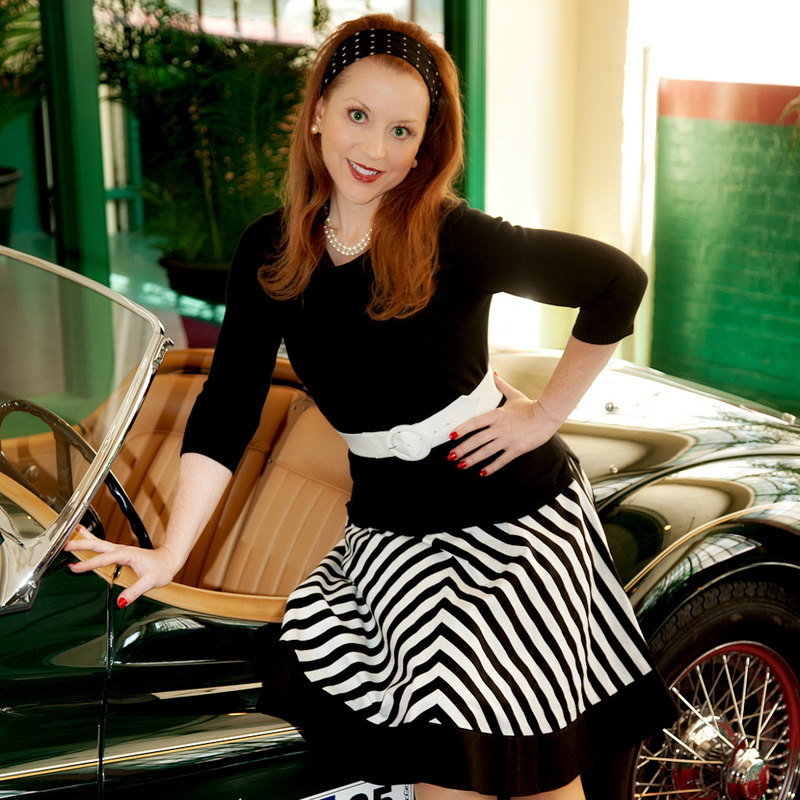 Today's blog is about personal style, but not the kind expressed through fashion. 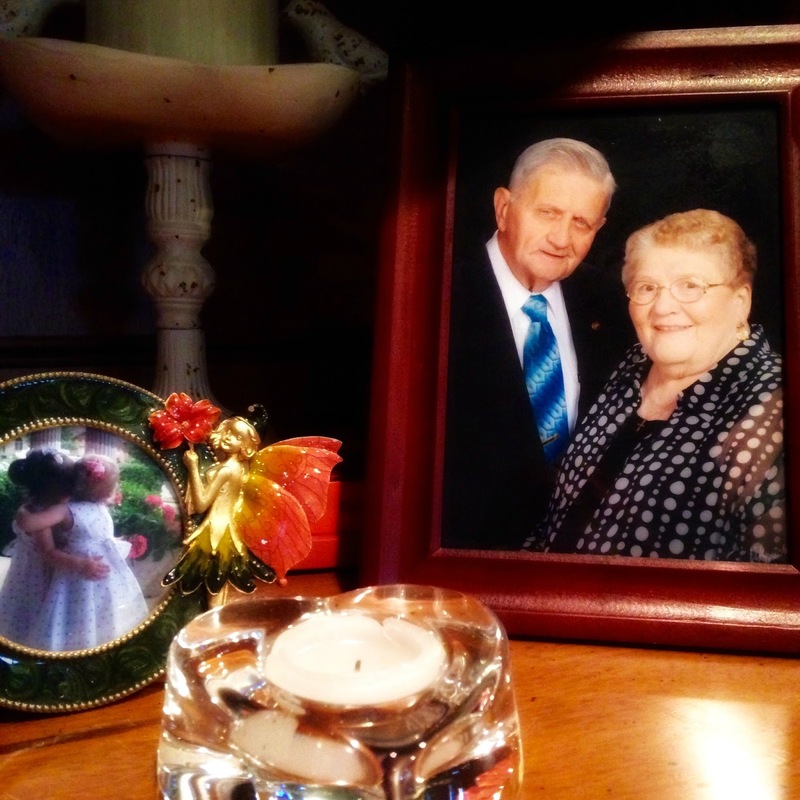 It is a tribute to my Grandma Betty, who left us for the Kingdom of Heaven following one final Christmas day surrounded by her children, grandchildren, great-grandchildren, and her devoted husband of 65 years. She always took time to talk with me about clothes and shoes, but her own personal style was most genuinely expressed in the way that she loved others. Her capacity for love was immense, and an example to all in her orbit. Grandma Betty "officially" became my grandmother when I was a teenager and my Mom married her oldest son. I would use the term "step-grandmother" but it would be accurate in only the most technical sense. From day one, Grandma B treated me as one of her own and never like the red headed stepchild that I, quite literally, am. That's true of my Grandpa Betty, too (his name is actually David but I've always called him Grandpa Betty. He has never minded). 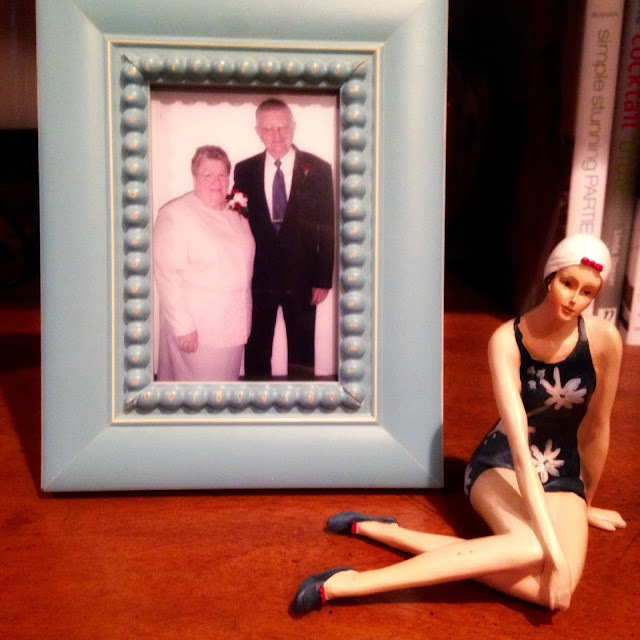 I treasure family photos, and this portrait of Grandma B and the love of her life for more than 65 years has a proud place on a bookshelf. Grandma Betty was everyone's grandmother, whether you actually belonged to her or not. If you spent time around the family, you quickly came to call her Grandma B. I have to stop and think hard to count up the actual number of grandchildren and great-grandchildren whose lives she has blessed, and even that number is not an accurate depiction of her style of grandmotherly love. Her "grandchildren" included not only those born or married into the family, but extended graciously and without hesitation to satellite families and those without families (or loving families) of their own. I have rarely witnessed a style of love so unconditional and genuine as that bestowed by Betty Reser on those fortunate enough to call her Grandma B.
Grandma B found and bought for me the polka dot scarf I'm wearing in my hair in this picture from a few years ago. I still wear it often. Despite being a grandmother to so many, she would, could, and did give her undivided attention to each of us in due course (even if we were interrupting her while she was watching Tiger on the tour or Serena at Wimbledon - though not an athlete herself, she was beyond passionate about golf and tennis on the telly). This Christmas Day, in the midst of the chaos of 40 plus family members milling about, we sat together in conversation and in those moments she made me feel like there was no one else in the room she'd rather talk to and that her whole day was made better for having me there. Every visit with her was like this - she had an intangible knack for making me feel special. That didn't mean she wasn't ornery. I still laugh remembering a holiday incident shortly after she welcomed KDef to the family. I can't recall now whether it was Thanksgiving or Christmas but, as was typical, the "good seats" were at a premium at our large family gatherings. Just as we sat down to dinner, Grandma B nonchalantly walked up to KDef, tapped him on the shoulder, and told him he had a phone call that he could take in the kitchen. As he left to see who could possibly be calling him at my parents' house, she winked at the rest of us and promptly took his seat. Of course, there was no one on the phone! 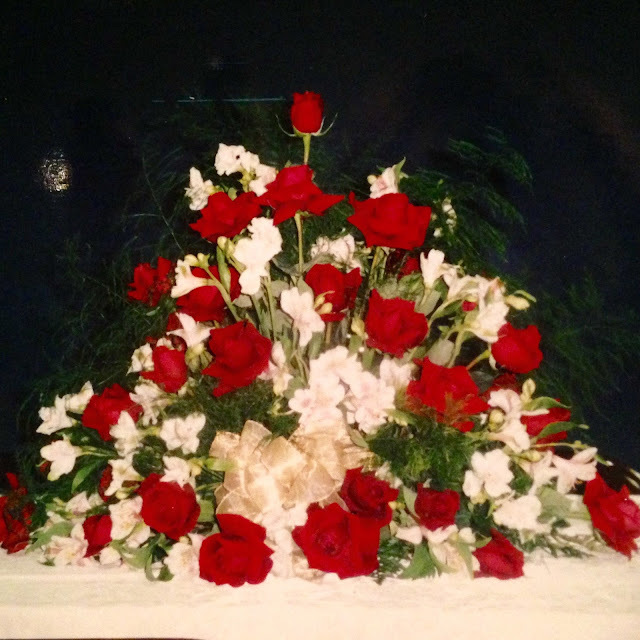 My Mom and I used to have a floral and event design business; we collaborated on decor for Grandma & Grandpa Betty's 50th wedding celebration more than 15 years ago. The love that Grandma B gave to all of us was the epitome of unconditional. 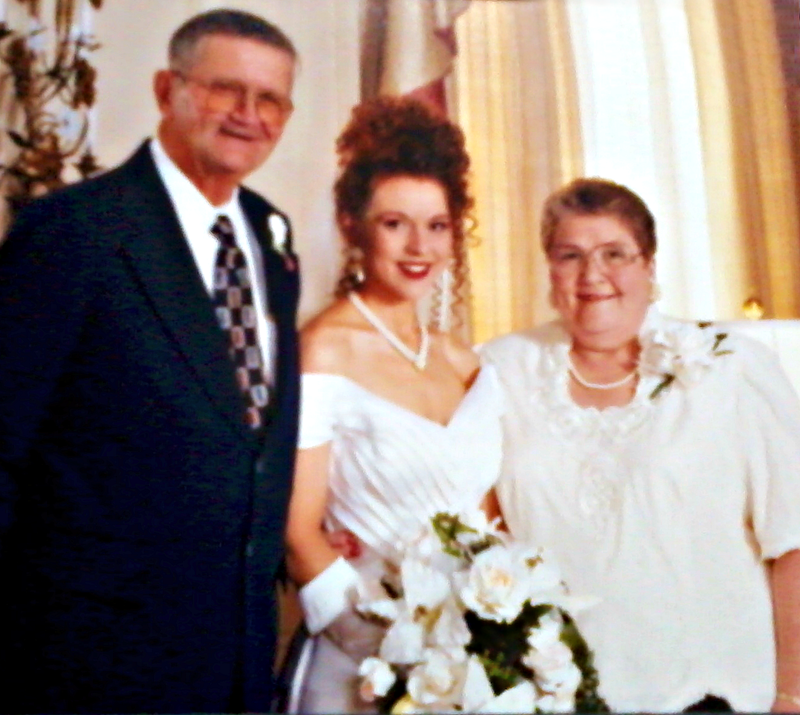 She may not have always agreed with our choices but she also chose, ALWAYS, to see the best in each of us (though she was also quick to let my parents know when she saw me driving too fast or rolling through a stop sign in my old Chevy Camaro back in the day). She was a champion, a confidante, and a friend. She was everyone's Grandma Betty. She was my Grandma Betty. Style is not just what you wear, but how you live your life.